We’re spending the day with a bunch of yarn and a True Blood marathon and I am realizing how happy I am that my Marla has a best friend. They are closer than I ever would have imagined. Rob and I often talk about the running of the household and how much work it is. He’s super busy with a full-time job plus he’s an artist so any day he doesn’t work he’s off painting for most, if not all, of the morning. That doesn’t leave a lot of time to help me out around the house, but we’re working on it. Every time this discussion gets kicked off he mentions how much work I have to do simply because we have pets. After that I sweep and vacuum all of the pet hair and, this time of year, the dead grass that gets brought in on Ollie’s fuzzy body from every time he goes out and comes back in. At night everybody gets some canned food, but Rob primarily takes care of this task. 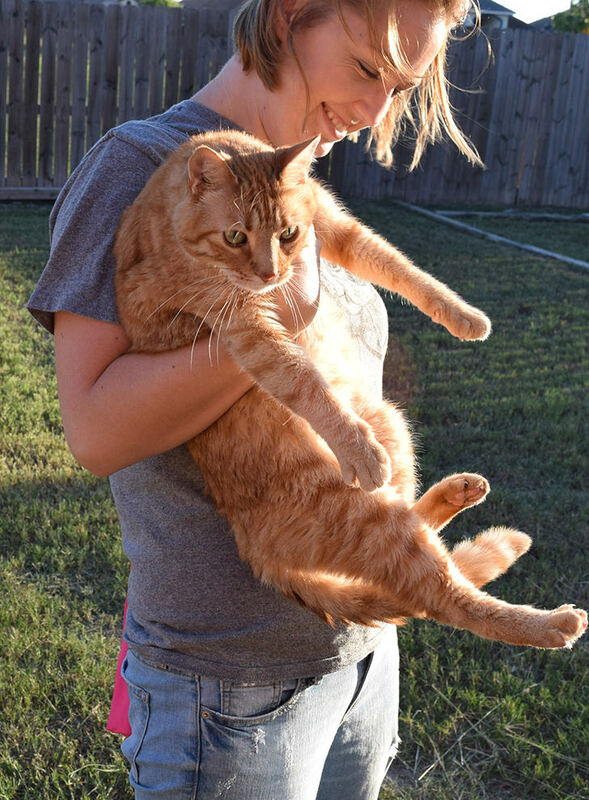 I prefer being carried around like a tiny human. One day, thinking aloud he said something to the effect of “is it worth it?” My answer is a resounding YES. We don’t have children and I have realized that the older I get the more nurturing my spirit becomes. I have no desire to baby a grown man (and Rob would totally be opposed this, too!) so we’re left with us having pets I can cuddle and love on and spoil rotten. 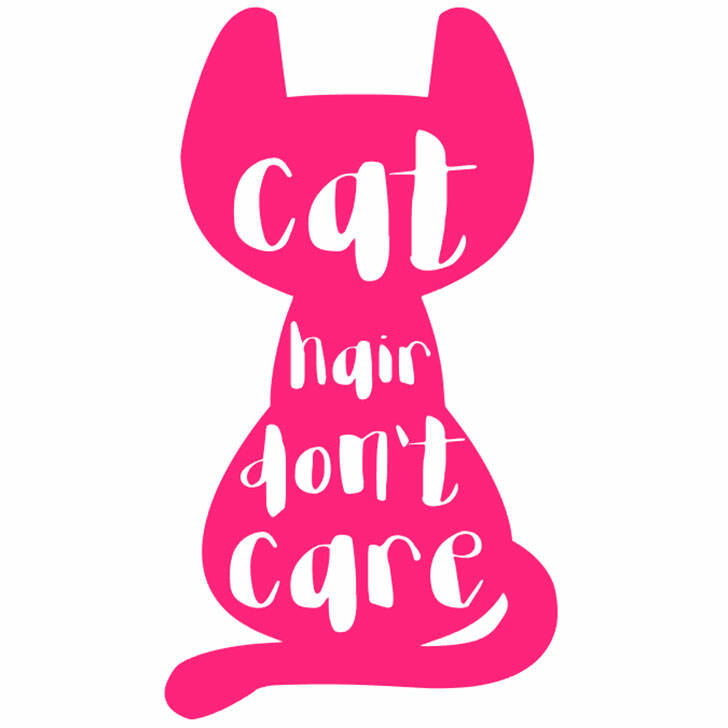 So what if I walk around half the time with cat hair on the back of my tee shirt? 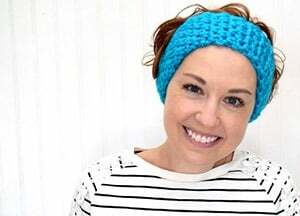 I’m a happy lady, in large, because I’m a crazy/dog cat lady with so many wonderful cats and dogs to share my time with. 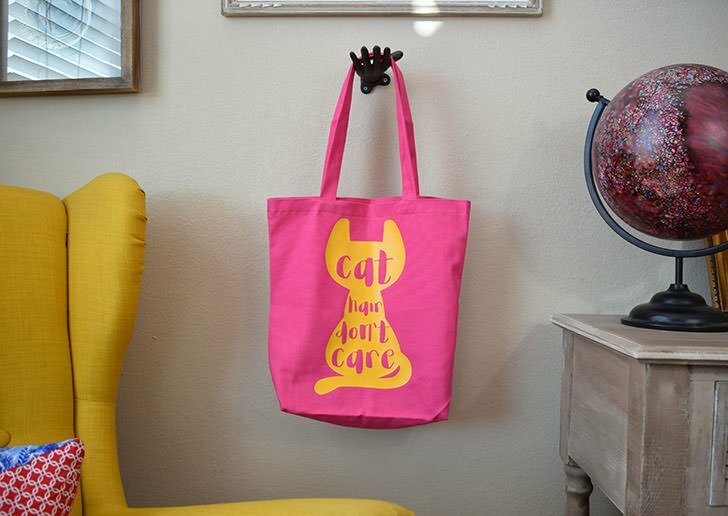 And so I made myself a bright, colorful and totally perfect cat lover gift in this “cat hair don’t care” tote. 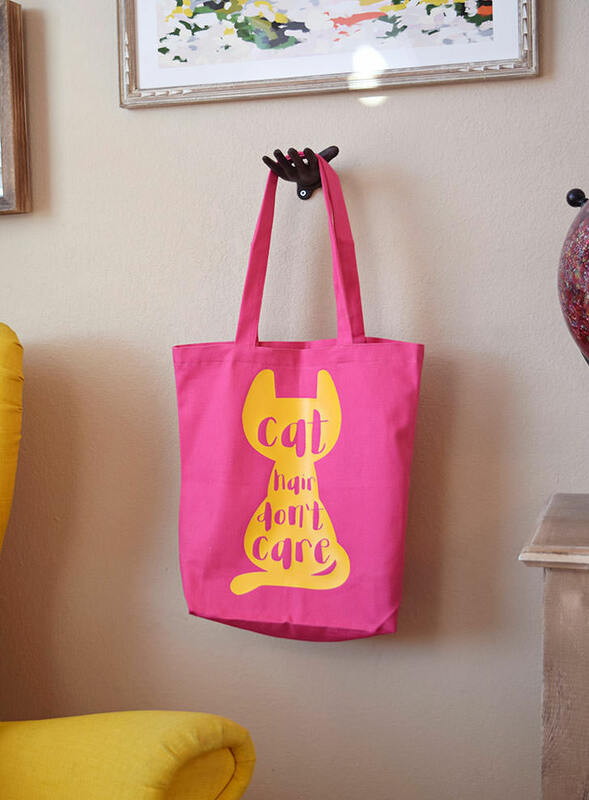 You’d best believe this thing is going to hold ALL of my goodies on our next trip because I think it’s perfect in every way! How good will this sucker look full of books and yarn? FAB, I tell ya! 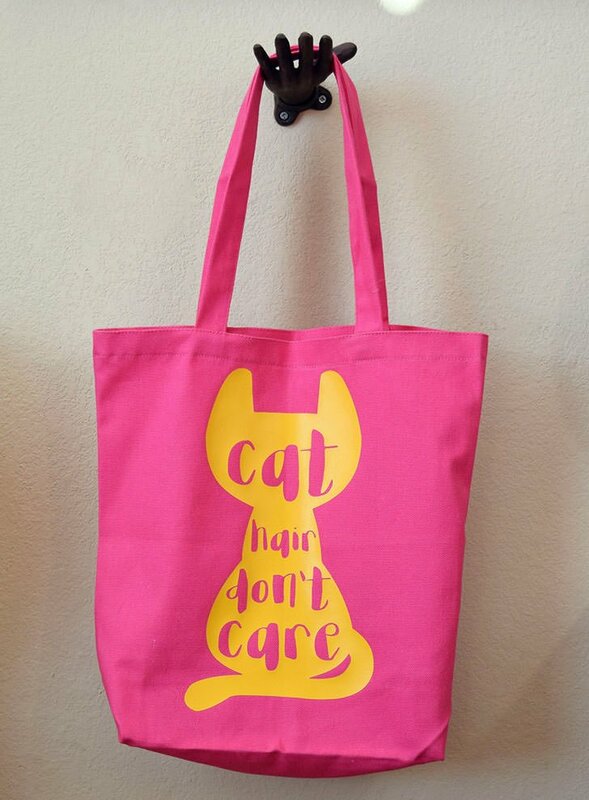 Grab your free Cat Hair Don’t Care cut file right up in here (or click the pic above) and make the perfect gift for yourself or your fave cat lover! I love your site. I love original and beautiful projects that can even be made by me.